Back in August of 2013 I picked up a copy of To Murder A Saint. 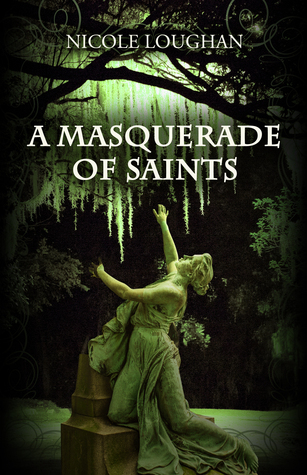 Honestly, what caught my eye about it was the cover – the oaks dripping Spanish Moss, and the poignant angel, who you know is weeping the loss of what can only be a child within the tiny crypt. I knew it had to be set in the South, where else? And it was, in the bayous of Louisiana, a place the author, Nicole Loughan, had been drawn to after her brother moved to New Orleans after Katrina. Honestly, I wasn’t all that kind in my first review, pointing out how the ‘journalistic’ feel of the book was rather off-putting, though the story did have good bones. Honestly, I am spoiled to tell the truth. The south runs through my blood, and I lean heavily toward the slow cadence of James Lee Burke, hot southern nights, and the heartrending cadence of blues guitar blowing in over the water when reading anything set in the south. Nicole was a dear, and we talked quite a few times after my review. I read her second book, and in my second review I wrote, “Nicole, being the sweetheart she is, took my in input like a true lady.” Her second book cover shares the same eloquent vision as her first, drawing you in and giving you full notice that what you will read between its pages is both heartbreaking and uplifting. Her second entry into the field of Southern Gothic writing far outstripped her first entry into the field in terms of language and characterization, leading me to the sure knowledge that her craft would only continue to grow. Now, with her third entry into the Saints’ series, Nicole had fulfilled her promise. Oddly, she does it with the same tight, scholarly style that she offered in the first book, as well as the second. But this third novel pulls in a Southern warmth that pulled me into the story and caressed me with the warm winds and sometimes-sour, sometimes-sweet redolence of the bayou, keeping me turning pages at a frantic rate as I continued to follow the Fanchon’s journey through the terror which continues to stalk her. After losing her best friend to a sadistic serial killer, then her adoptive family to madness and death, à la the best of William Faulkner, Fanchon’s life is still a nightmare. Killers stalk her, she has been accused of murder, and the man she had thought was her boyfriend, the cop from New York, Banyan, may not be a boyfriend at all – in fact, he may be something a whole lot worse. Or is someone else the author of all of her troubles? One woman watches over the children of Philadelphia, until she gets the biggest assignment of her life, to go back in time to save the entire city. Philadeplhia’s epic landmark, the Divine Hotel, is the setting for this high-stakes mystery that brings one woman back to a time when the city was teetering on the brink of greatness and gives her a chance to tip it one way or the other. You can learn more about Nicole and her books at her website and you can purchase her books at Amazon or your favorite retailer. I received a copy of each of Nicole’s books in return for realistic reviews. All thoughts are my own. 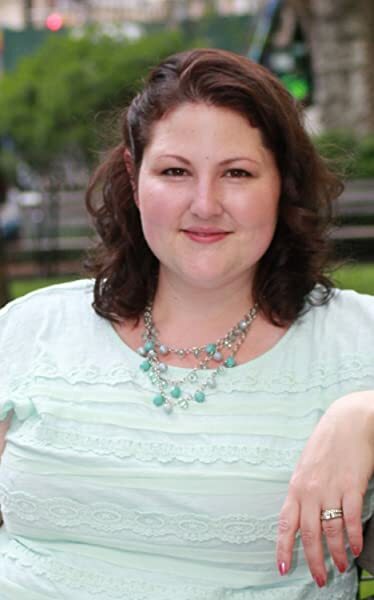 You may know her as the syndicated humor columnist “The Starter Mom.” Nicole is a graduate of Michigan State University and an award winning Journalist, recognized by the Michigan Press Association as a top feature writer. She writes for two daily newspapers in the greater Philadelphia area. “To Murder a Saint” is the first book in the Saint Series. “All Saints’ Secret” released in August. It is recommended that the books are read in order.